Back in 2011, The National announced that they were going to make a tribute album to the Grateful Dead. With “somewhere in the neighborhood of 70 contributions” that could make it onto the album. The album has been a long project in the making. By December the band confirmed songs to be featured such as The War on Drugs cover of “Touch of Grey,” the Walkmen covering “Ripple,” and Kurt Vile and J Mascis cover of “Box of Rain.” As well as songs from Justin Vernon with Bruce Hornsby, the Marijuana Deathsquads, Unknown Mortal Orchestra, Grizzly Bear’s Daniel Rossen, and Phosphorescent among others. 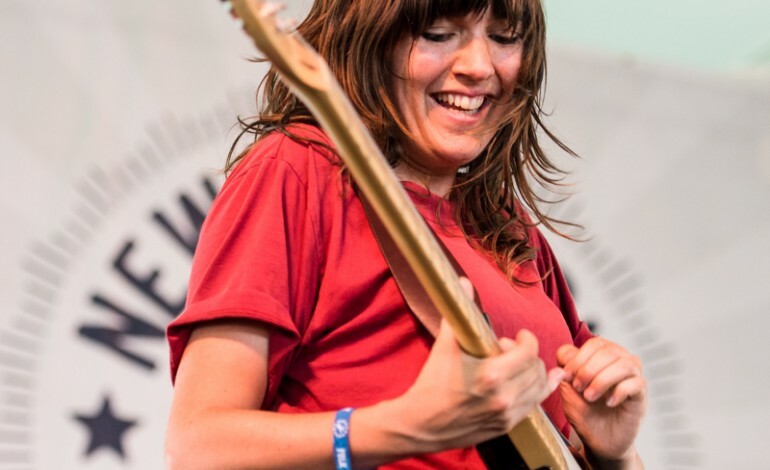 This week Jam Base highlighted a series of tweets that detailed another round of contributions: Courtney Barnett (“New Speedway Boogie”), Wilco with Bob Weir (performing “St Stephen” live), Tunde Adebimpe with Lee Ranaldo (“Playing In The Band”), Stephen Malkmus And The Jicks (“China Cat Sunflower/I Know You Rider”), Vijay Iyer (“King Solomon’s Marbles”), Lucius (“Uncle John’s Band”), Orchestra Baobab (“Franklin’s Tower”), Kurt Vile with J Mascis (“Box Of Rain”), Ira Kaplan + Friends (“Wharf Rat”), Perfume Genius with Sharon Van Etten (“To Lay Me Down”), Angel Olsen (“Attics Of My Life”), Fucked Up (“Cream Puff War”), Flaming Lips (“Dark Star”), Tal National (“Eyes Of The World”), The National (“Morning Dew”), Jim James & Friends (“Candyman”), and Antony (“Black Peter”) says Stereogum. The album Day of the Dead, is five hours and 28 minutes long and will be released at the Eaux Claires Music & Arts Festival in Eau Claire WI on August 12th and 13th.